Welcome to the Co-Chair Report, which keeps you informed about the actions and activities of the Specialist Services Committee (SSC). The committee members are made up of representatives from Doctors of BC, Ministry of Health and Health Authorities. Note: Dr Ron Carere has stepped down as the SSC Co-chair for the Ministry of Health. For the interim, Mr. Brendan Abbott, a long-standing member of the SSC has kindly agreed to step in. We wish to thank Ron for his support and insights. We exist as a Committee to help make improvements to health care – specifically as it relates to our BC specialist-physicians. Since health care is about taking care of people, we thought as a committee it was important to hear from the very people who use our system – patients. Although, we often hear from patients and families at different points and levels of health care, fully incorporating the patient voice into our committee will help influence our work and quantify our direction. At the September meeting, we welcomed three new patient representatives, who come from the Patient Voices Network. We are pleased that they have agreed to regularly attend our committee meetings and we look forward to their valuable contributions. As the SSC enters into its final year of the current three-year strategic plan, a process is now underway to develop the next three-year plan that includes robust stakeholder engagement and consultation. As part of the overall engagement strategy, conversations between SSC and Specialists of BC have resulted in the hosting a Specialist Symposium January 18, 2019. A working group representing SSC, The Ministry of Health, Doctors of BC and Specialist of BC are currently planning the event, whose broad purpose is to engage and gather the feedback of front-line and specialist champions in BC to inform the future directions of SSC and Specialists of BC. SSC sees this event as a core element of our broader SSC engagement strategy process. As mentioned, I have stepped down from the SSC Co-chair position. I did so after much reflection. I enjoyed my time with the SSC and learned a great deal. I truly appreciate all the support I received from my fellow Co-chair Matt Chow and getting to know my fellow committee members a little better. Special thanks to Director Adrian Leung and all of the SSC staff whose great work keeps our committee going. I was welcomed as the SSC Co-chair several years ago by my colleague Sean Virani who was the Doctors of BC Co-chair at the time. As a newcomer, I was impressed that it was not obvious who represented who because everyone was working towards the same goal of doing what was best for patients, specialists and our system of care. It was also notable to me and admirable how important it is to the committee to seek robust metrics to evaluate the work it does. At this time I find increasing demands in my role at Providence Health Care and I am not able to give the committee the time it deserves. The SSC is an important committee that has excellent participation from high quality individuals and I am honored to have played a small role. For the moment, I understand the Co-chair role is in the very capable hands of Brendan Abbott. Thank you all, best wishes and personal support in continuing to make meaningful change. We are half-way through 2018 and we continue to focus on our goal of being more transparent and inclusive. We are one of the smaller joint collaborative committees, and as a result we need to be more inventive in how we provide our support to specialists. We really view SSC work as being enablers – we enable specialists to be involved in system and quality improvement, in developing leadership skills, in building networks of support - to bring excellence to BC’s health care system. Our biggest goal is for specialists to feel that the SSC is the committee that will effectively bring their knowledge, ideas and skills as a positive influence in a collaborative working relationship with our Ministry of Health and health authority partners. We have seen a lot happen with a number of our initiatives in the past year. With Facility Engagement, the needle moved substantially from growing to maturing – with so many sites now established and working on their unique priorities. In addition, activities such as Physician Quality Improvement and the Physician Leadership Scholarship Fund are building networks of specialists who are becoming leaders today and will carry those skills far into the future. There’s a palpable difference felt even in our committee meetings. We have seen so much more collaboration, willingness to see all sides and a focus on finding solutions, not simply identifying problems. It is energizing and makes us look with great optimism towards the future. Spread and sustainability is the language all the joint collaborative committees are using. How do we leverage the good work that is being accomplished and spread the work provincially? As you can imagine, this will take time and the efforts of many. We are putting supports in place to help – some are small changes, such as cross-pollinating the GPSC and SSC incentive fee working groups with representatives from both committees – to better coordinate our efforts. Some are large, such as the Pooled Referrals Initiative – this and more will bulk up our touchpoints and will allow for a more coordinated, less siloed approach to our work and our impact. This is particularly important as we continue to work with health authorities, for example on Clinical System Transformation and with the government on Patient Medical Homes/Primary Care Networks. One other item of note is the shifting landscape when it comes to physician compensation. It used to be fee-for-service was the only payment model physicians wanted. It’s a new world now, as we move towards 2019 and negotiating a new Physician Master Agreement – physicians are expressing their desire for other payment models to be in the mix. We will be watching this closely and advocating for our specialists and their unique skills. Engaging with Physicians and Stakeholders. A key goal for the SSC is to engage our physicians and stakeholders. We have been working on how to make this goal more structured and what we can do to achieve long-term success. Some of the structures we currently have in place for better engagement include the Facility Engagement and Physician Quality Improvement Initiatives. Through the SSC’s Facility Engagement initiative, the committee has heard from Medical Staff Association (MSA) physician leaders from across the province, who have shared many of the opportunities, priorities and challenges that are being identified and being worked on at the site level with the support of funding and resources from SSC. We now have 67 sites running, with approximately 1500 physicians involved, and 458 projects being undertaken. To support relationships between medical staff and health authority partners, MSAs have been connecting across organizations through well-received regional forums that have been held in the Lower Mainland, Island Health, Fraser Health and Interior Health, which have been attended by physicians and health authority leaders. A number of physicians have reported that the initiative has reinvigorated some MSAs, and brought back physician involvement and enthusiasm in various communities. Learn more through recent stories about the physicians involved in Facility Engagement. The Physician Quality Improvement initiative aims to partner with each of the health authorities to deliver quality improvement training to physicians and provide technical staff resources to help support physician lead QI projects to improve patient care. All health authorities now have PQI programs up and running. While health authorities are at various stages of implementation, across BC 423 physicians have received QI training, 46 technical staff have been hired to support physicians, and 143 physician-led projects have been completed or are underway. Physicians have mentioned how the training and support have really helped empower them to take action to improve patient care by providing them with capability, capacity and confidence to be a QI champion. Read stories about PQI in action. Our committee is always looking for opportunities to effectively partner with health authorities and organizations to support patient-focused care, health system priorities and the priorities of physicians. Currently, the SSC is exploring how it can support meaningful physician involvement and participation with Vancouver Coastal Health (VCH), Provincial Health Services Authority (PHSA) and Providence Health Care (PHC) in the implementation of the Clinical Services Transformation (CST) project. This project intends to establishing common clinical and process standards, including workflows, order sets, clinical guidelines, integrated plans of care and a common electronic health record. Physicians have identified that there could be improvements to the way information is shared, and that physicians need to be better consulted and involved by CST in the impending implementation, including concerns that impact on patient care, physician workflow, and productivity. We will provide further updates about this issue as they progress. • Northern Health Rep.: Dr Dietrick Furstenburg, GP and NH Medical Director, Northern-Interior. 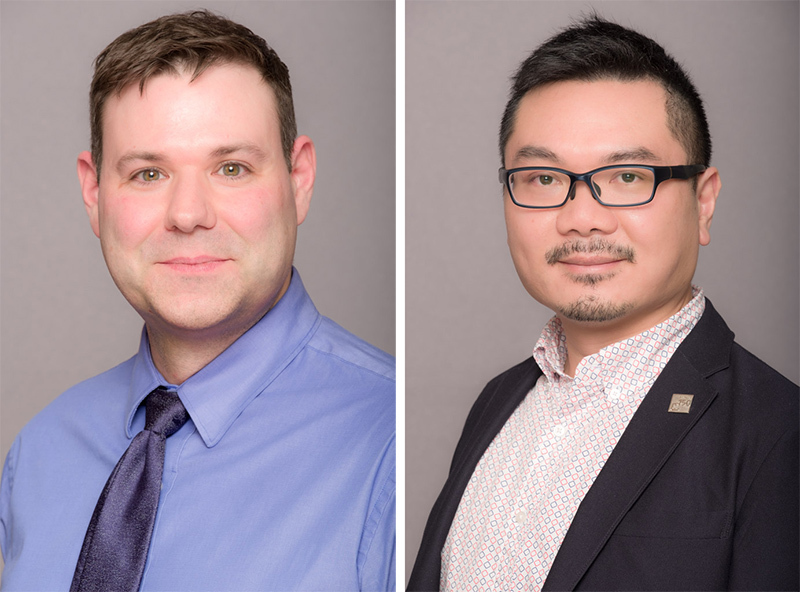 Dr. Matt Chow will be taking over the role as Doctors of BC’s Co-chair from Dr. Sean Virani who is stepping down in January 2018. On behalf of the SSC, we would like to personally and publicly thank Sean for his dedication and leadership on the SSC over the past several years. Sean has been a member of SSC since 2011 and has been Doctors of BC’s Co-chair since 2013. During this time he has helped foster a collaborative relationship between physicians, Doctors of BC, health authorities and Ministry of Health. We’d like to thank Sean for his service, professionalism, and will miss his colourful bowties. We wish Sean all the best with his new responsibilities.